to Our Facility October 2, 2012! Scroll down for Complete Information, Including Nearby Accommodations, Stabling, Available Handlers, Braiding, Photography, and Directions! 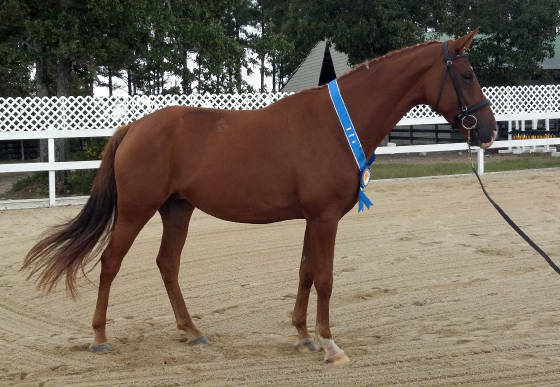 Mare Performance Test Champion was our own Lucia ESE, by Liberty Gold, out of MS Destination. 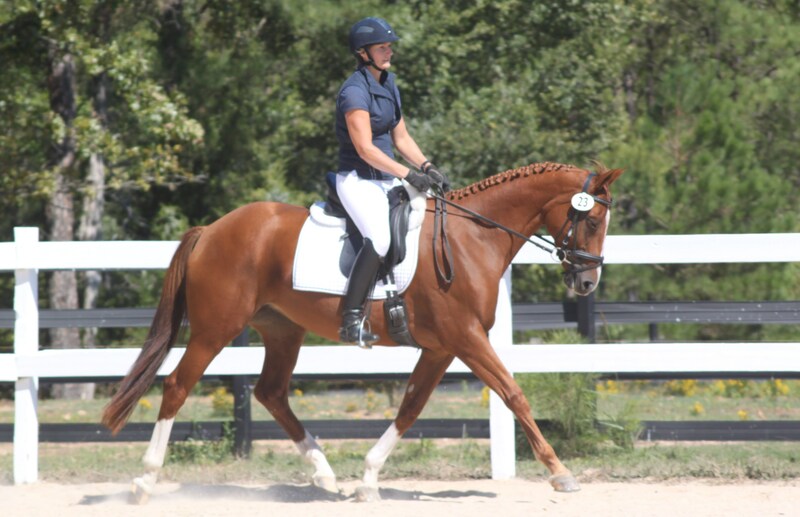 Many may remember last year when Lucy was injured during the Free Jumping Portion of the MPT. 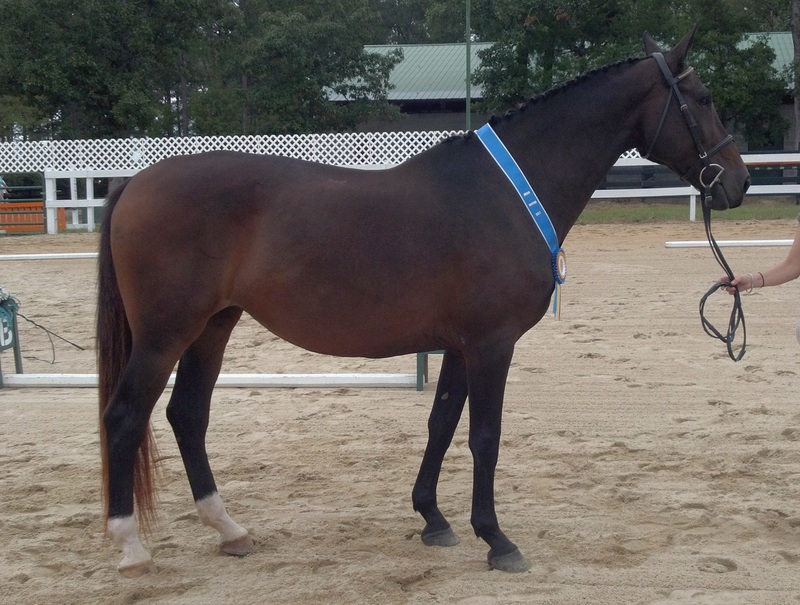 She successfully finished this year to become and Elite Mare. 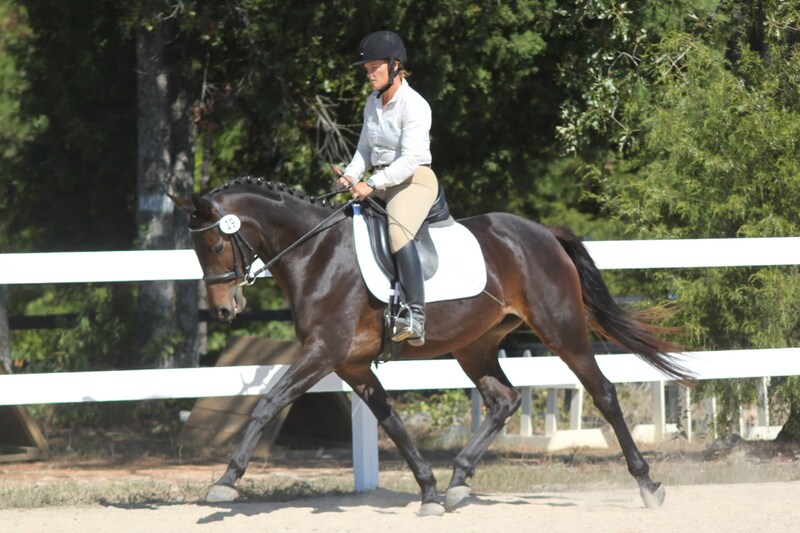 The highlight of her test was an "8" for rideability. It was tough for Lucy, as she was both pregnant and nursing this year!! Foal Champion was an outstanding filly by Fuerstenball, out of EM Dulcinee H, by Davignon, owned and bred by Jane Gallegher of Columbus, NC. Judges comments included high praise for elasticity, movement, type, and development. 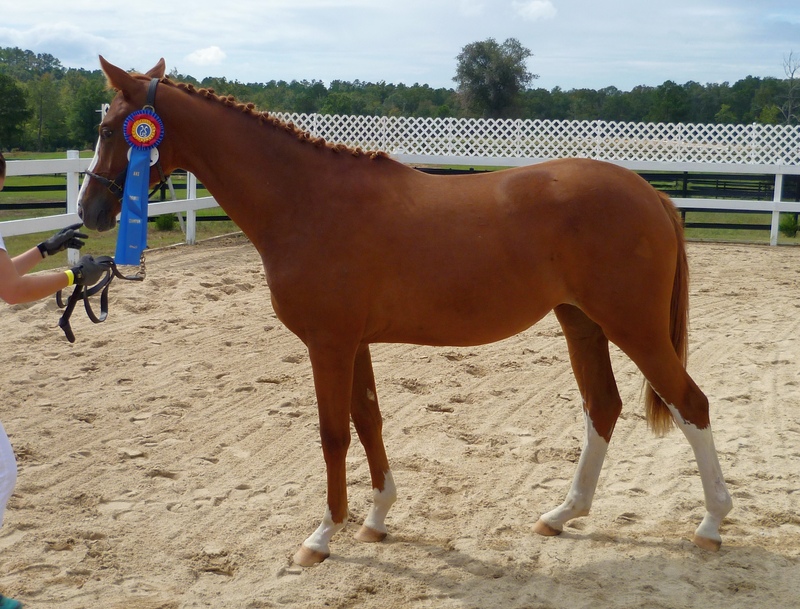 Two Year Old Colts/Geldings Futurity Champion was our Wolkenflieger ESE, by by Wolkentanz II, out of MS Ragazzi, by Rouletto. He received high praise for his type, head and front legs. 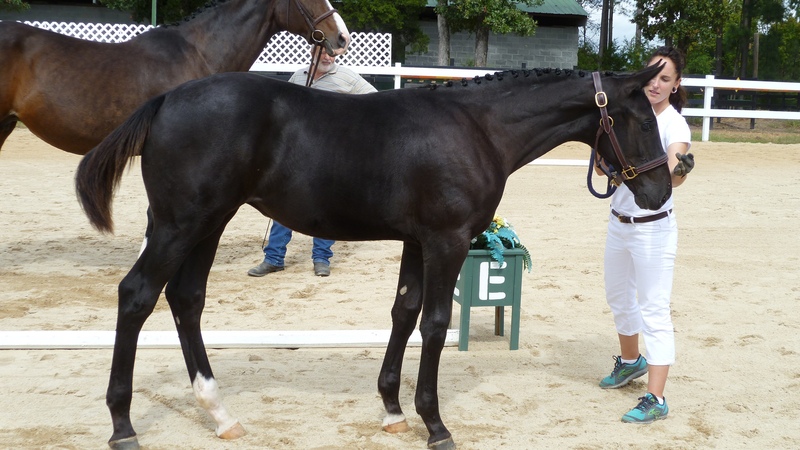 Reserve Champion was Worth It ESE, by Welcome S, out of MS Destination, by Donnerschall, with his best feature being his big trot. Yearling Filly Futurity Champion was Bejewelled ESE, by Benidetto, out of MS Ragazzi, by Rouletto. 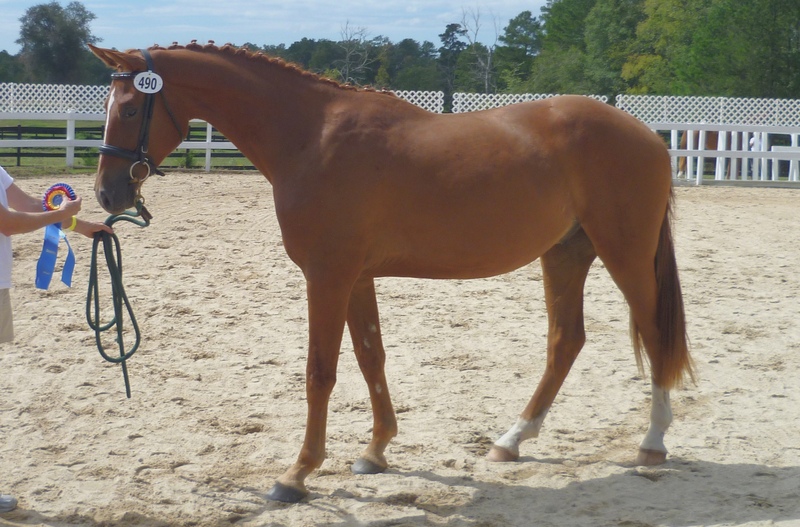 The judges "Loved" this filly, giving high marks for her head, topline, front legs, walk, and type. We have six permanent stalls in a block barn. Three of them are 20' x 20', and three are 14' x 16'. Three 10' x 20' stalls in a wooden barn are also available next to our house. We also have six small paddocks, and one large (2 acre) paddock available for the day of the Inspection. Please reserve your stalls early to get your preference. We live on the property, and do night checks free of charge for overnight guests. Stabling will be $50 for the evening for stalls, and $25 for the day, if available. Overnight guests get priority for stall reservations. Paddocks are available for $25 for the day. We are charging a haul-in or day fee of $10 for participating Non-Stabled horses to help offset the cost of the Event Insurance required by AHS this year. Please call or email (803) 364-2768 /(803) 422-6432 / emeraldspring@att.net. Stalls and paddocks are available first come/first serve by reservation. If needed, we will set up temporary stabling, as well. Braiding will be available by one of our staff emeraldspring@att.net . Please let us know in advance, and be prepared by arriving the afternoon before, WITH your horse's mane pulled. Braiding is $40 per horse, $25 for foals. There will be an extra charge for pulling manes, and only if time permits!